The new spring/summer collection at Louise Misha launched last week and it is simply beautiful! 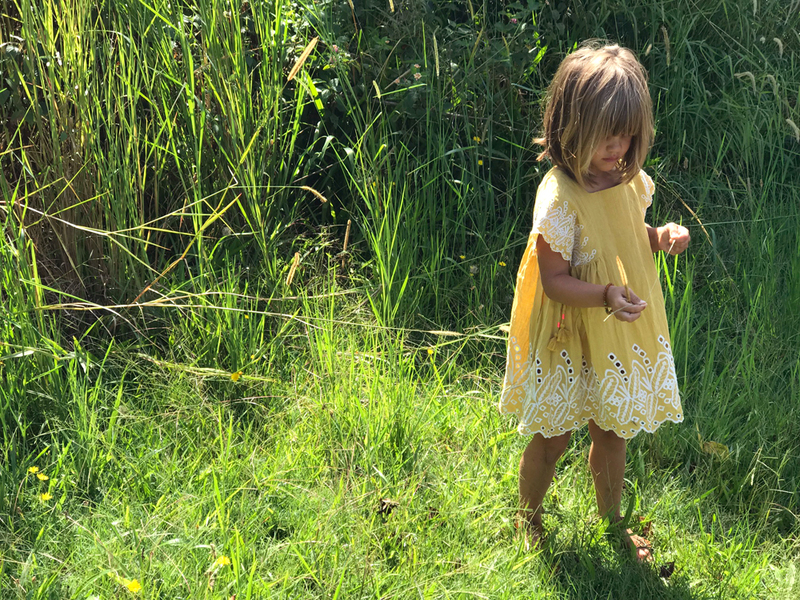 With stunning, bohemian dresses and accessories for little girls, and a larger-than-ever selection for women, this is my favourite collection yet. There is honestly not a single piece in the women’s collection that I wouldn’t love to have in my closet: pretty blouses, flowing silk dresses, and easy-to-wear-anywhere dresses like this one (honestly, how pretty is it?!!!). I just love the effortless feel of each and every piece. The girls collection is equally stunning with lots of flowy shapes, ruffles and beautiful embroidery. 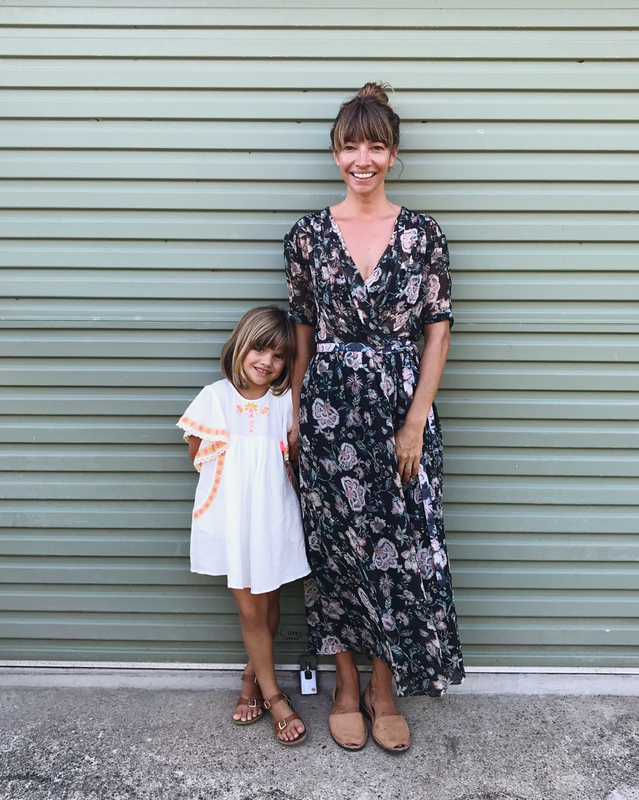 And what I think I love most about the Louise Misha dresses is that while they are delicate enough to wear for special occasions, they are durable enough to wear day-to-day, thrown over a swimsuit and worn to the beach, for example. 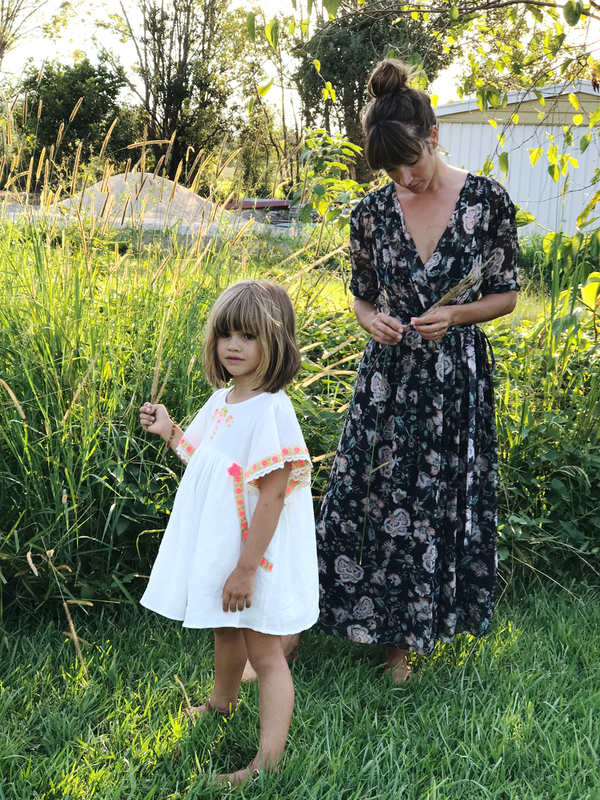 Louise Misha is a French brand created in 2014 by two friends, Aurélie Remetter and Marie Pidancet, who were inspired by their travels to India. 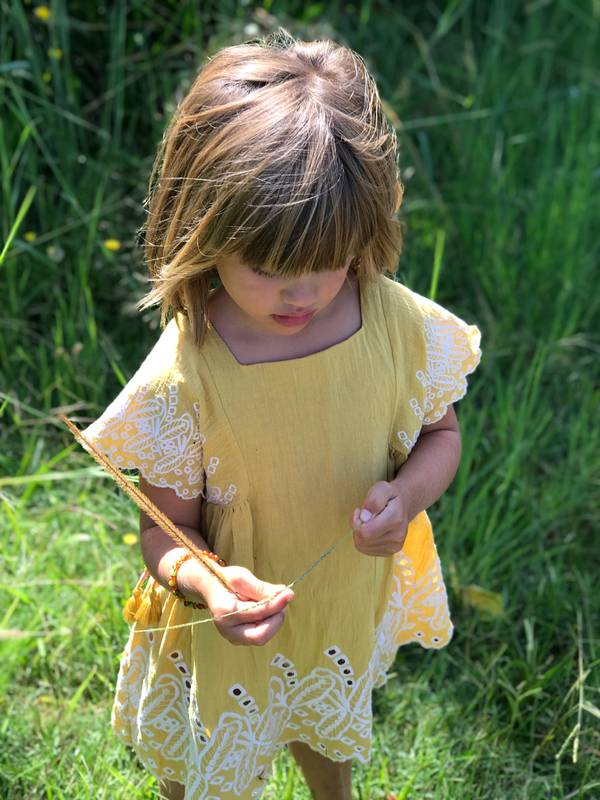 They initially launched with a collection of jewellery, which later expanded to a collection of clothing for girls and then, lucky for us mamas, a collection for women, which they launched last year. 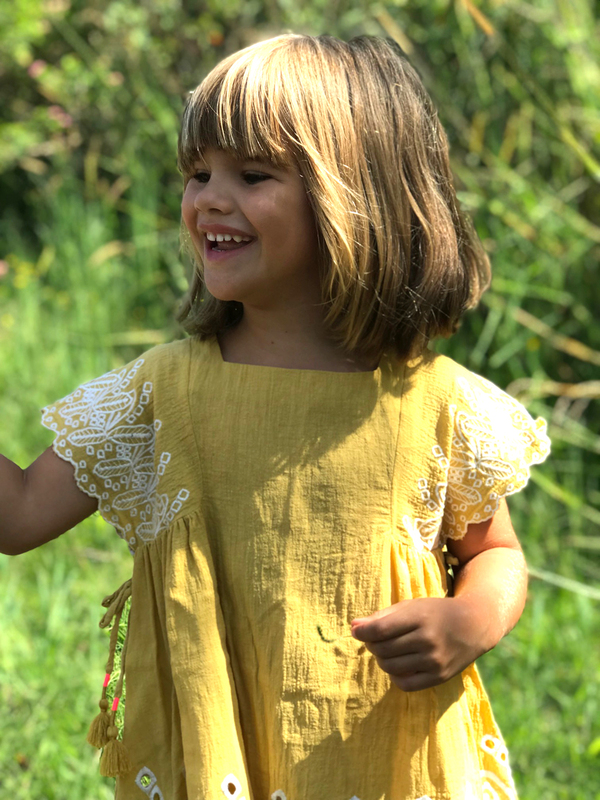 In the photos above, Marlow is wearing the beautiful saffron-coloured Nouchka Dress with bright pink detailing on the side tassels, and the embroidered Hindaka Dress in white. 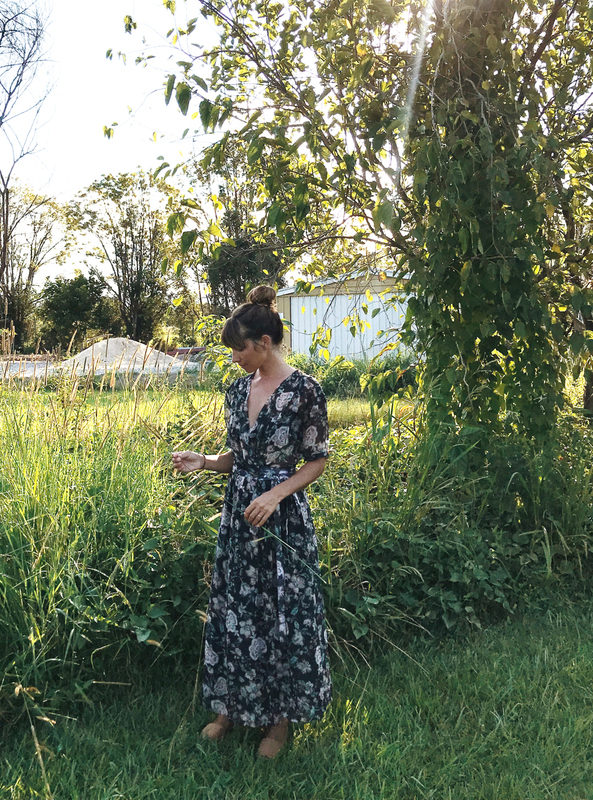 I am wearing the floral Aster Tropical dress, which I love because it’s so lightweight — perfect for this hot, humid weather. The links to the clothes don’t work for me, perhaps because I’m in the US? These dresses suit both of you so well! Perfectly lovely.